So the twins possess Caulifler and Kale right away and do battle with Vegeta and Trunks. Before that though, Cabba needs to be blasted into the distance, to remind us how useless he has become. Hit and Trunks battle the possessed Saiyans while Vegeta charges a big Final Flash. Planning to take the blast themselves in order to ensure the enemies also get a face full, which seems like a really bad idea considering how much damage that attack tends to do. Even worse, the twins leave the bodies of the girls before they’re hit, meaning the result is a whole lot of friendly fire. Before the battle can progress any longer, our new fur coated villain shows up and pins everyone to the ground with some kind of gravity based attack. He announces “The universe seed is brimming with energy” before saying his name; Hearts. 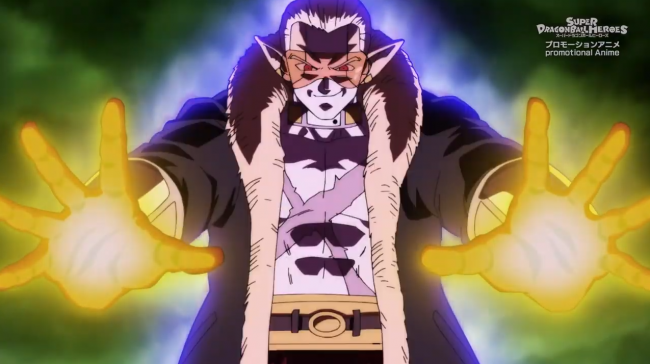 He claims to be the man who will take down the Omni-Kings, as well as all other divine beings. 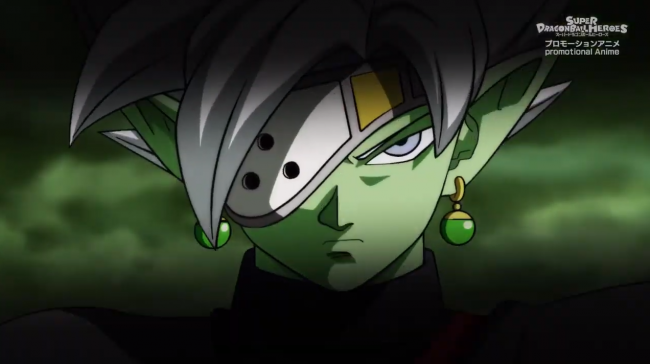 It’s an interesting take, he seems to be the anti Zamasu, wanting to leave the multiverse in the hands of the mortals and remove all divine meddling. Ironically, Zamasu is right behind him. And corrently me if I’m wrong, but Zamasu’s primary character trait was making very long winded speeches about the god being surprise and enacting a “zero mortals plan”. Teaming him up with Hearts does no make a lick of sense, they have utterly opposing ideals and goals. Come on, I know this show is pure fan service, but that’s a pretty glarring oversight. Was worried I might not get my monthly dose of “Ningen”. Having everything they need from Universe 6, Hearts and Zamasu plan to go to Universe 11 next to deal with the strongest man in the multiverse: Jiren. Who see also has his hands full as he is about to square off with a revitalised Cumber, who has seemingly beaten the crap out of poor old Toppo. I wonder if Heroes will do the dirty on Jiren next time, considering he should realistically wipe the floor with Cumber and Zamasu. It’d be interesting to see the villains cheat or enact some kind of underhanded tactic to defeat Jiren. I know power scaling has been all over the place in this show and Cumber is overpowered to a laughable level. But come on, it’s Jiren. The episode ends with a cut away to the Grand Priest, who has seemingly picked up Goku from his near death on prison planet and apparently intends to train him. 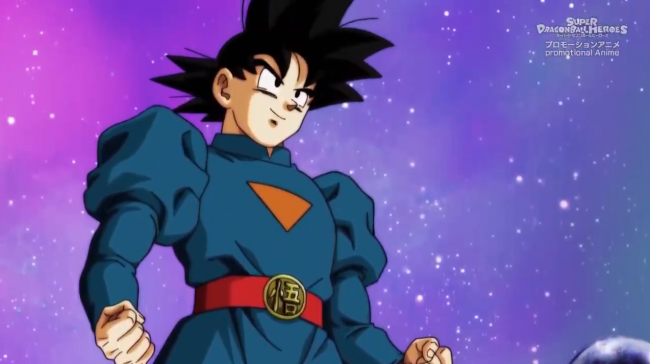 There has been rumour that the Grand Priest would eventually train Goku in the mainline series, seeing as how he is the most powerful known being in the multiverse right now. It’ll be interesting to see what Goku gets out of this training and if Heroes just throws common sense in the bin. This episode was fun. There is a lot of weird stuff going on and I really don’t feel like I can predict it either, less so than even the events of the canon manga. The animation is actually really good too, I hope that the success of Broly has given Toei reason to pour more money and people into producing all of their Dragon Ball content. Just need to wait a couple months for the next six minutes now. 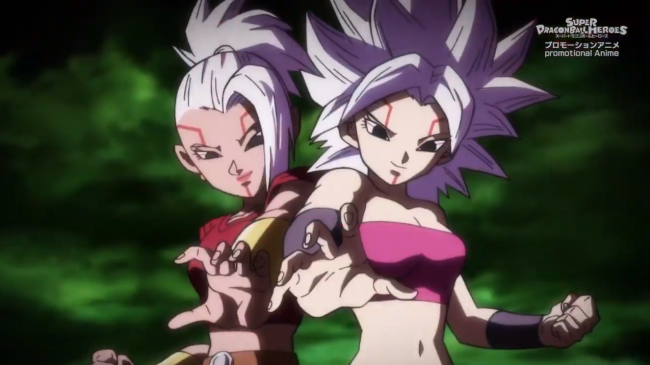 Posted on February 28, 2019 February 28, 2019 by WooderonPosted in Anime, Condensed Reviews:Tagged dragon ball, dragon ball super, episode 9, goku, jiren, promotional anime, super dragon ball heroes, vegeta, zamasu.